Professional Economic Growth Group (P.E.G.G) is a full-service, wealth management firm built on a basis of passion and integrity to the care and commitment of our financial professionals and their clients financial success. 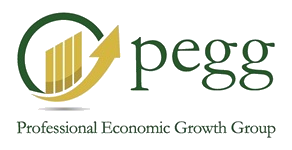 P.E.G.G truly cares about our responsibility and commitment to help our clients understand and utilize the financial tools and strategies that exist today. Since 1989, we’ve proudly served all over the nation with an understanding that each individual & business owner’s goals are personally unique. We work with you to discover and understand the best possible approach to your financial life. Whether you’re planning for retirement, building your business, or any of the other numerous financial goals that exist, we believe it’s essential and necessary to understand your financial situation and have a sound financial strategy in place - one that can grow and evolve with you throughout your lifetime, and beyond! Find out how someone from our P.E.G.G family can help make a difference in your life and the life of your loved ones. Please call our office at 973-830-3195 or email us at [email protected].